Eureka Engineered Products specialises in the design and manufacturing of hydraulic cylinders. The company directors have a collective experience of more than 50 years in supplying and servicing the OEM and distributor cylinder market throughout Australia. Our Rebel series is the benchmark for high quality, Australian made ASAE cylinders. This cylinder can be configured to meet many OEM applications. Please see our brochure for more details and the many features and benefits of this product. For customers with more complex requirements we endeavour to understand every aspect of the application to ensure we provide complete solutions. Our designs are based on robust engineering principles with the use of advanced computer simulation to ensure we get the design right first time. We have developed quality procedures to ensure we manufacture these precision components reliably and repeatedly. Our policy is to pressure test every cylinder we make to ensure our customers receive a quality assured product. 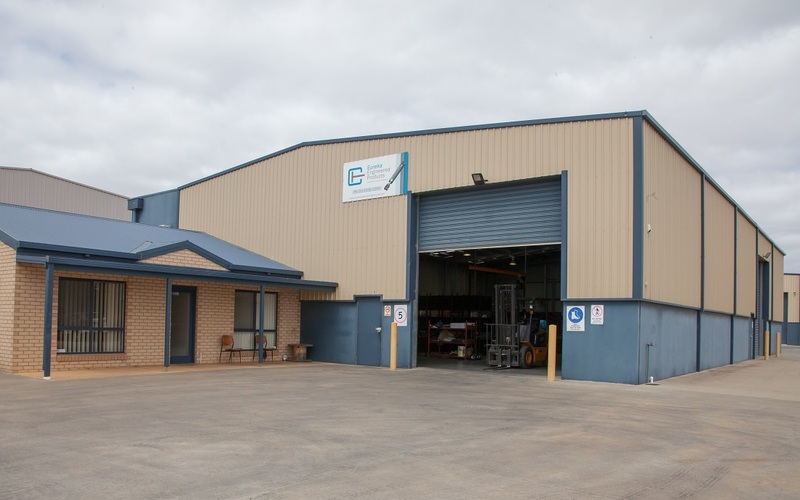 Our modern manufacturing facilities are based in Ballarat, Victoria just 100km West of Melbourne. Our standard range to suit industry specifications. High quality design and construction for an affordable price. Get custom hydraulic cylinders built to your specifications. Designed in-house, or copied from your sample. Lead times apply. Do you require large quantities or maybe you're interested in becoming a wholesaler? Call us today to see what we can do for you. Check out the latest addition to our range. The Rebel Series Cylinder is the perfect choice for a range of applications, with high quality seals and 12 month limited warranty you're definitely onto a winner. This cylinder series also comes with a cast steel rod clevis and base, as well as polymer bearings and a screwed gland construction. Eureka Engineered Products were easy to deal with. We placed an order with them and they quickly got back to us with a quote and delivery date, of which they adhered to.